MADRID, ZADAR, May 4, 2014 (Xinhua) - Runners compete during the Wings for Life World Run race in Zadar, Croatia, May 4, 2014. 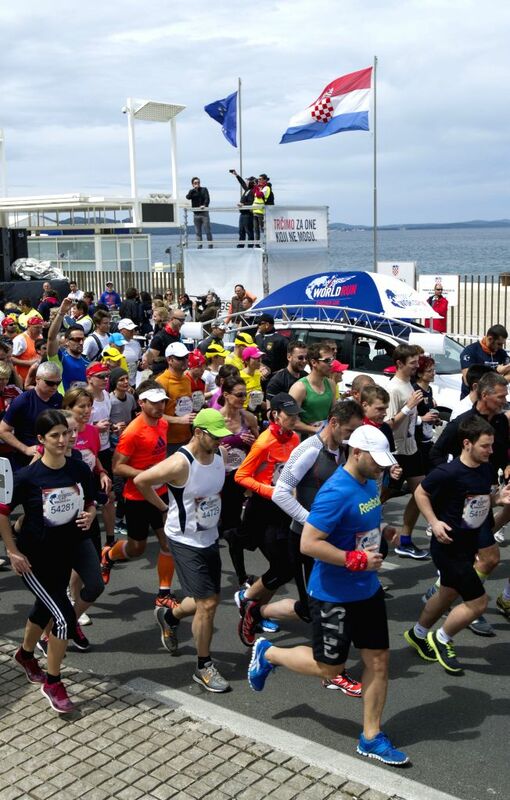 Almost 2500 participants took part in the global event held in Croatia's coastal city of Zadar. Runners from 164 nations, participating in 34 locations in 32 countries across 13 time zones started at the same time to raise funds and attention for spinal cord injury.